Jeff, Grew up in Oswego IL, and graduated from Western IL. University while attending on a football scholarship, Jeff graduated with a degree in finance. After Graduation, he started his career in the insurance and financial services industry. 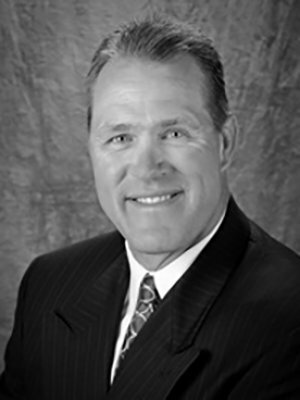 In 1994, he started Prentice Financial Services, Inc. Since he started in the industry, Jeff has a strong commitment to continued education, and believes it shows his commitment to his client’s success. Jeff specializes in working with individuals and business owners who are serious about their financial futures. Certified Financial Planner Board of Standards Inc. owns the certification marks CFP®, CERTIFIED FINANCIAL PLANNER™ AND federally registered CFP , which it awards to individuals who successfully complete their initial and ongoing certification requirements. CFP® certification: Certified Financial Planner™, A comprehensive program covering all aspects of Financial Planning. The CFP® certification is one of the most recognized certifications in the industry. To learn more about CERTIFIED FIANCIAL PLANNER Board of Standards Inc. click here to visit their web site. CLU/ChFC: Chartered Life Underwriter and Chartered Financial Consultant. Advance course work in the application of insurance and financial products in the personal, business and estate planning market. To learn about the courses visit the CLU/ChFC web site. PRG: Premier Resource Group: Nationwide network of insurance and financial professionals from around the country with the purpose of sharing ideas in the advance planning markets. BEI: Business Exit planning Institute: An organization dedicated to helping business owners maximize the value of their business, through strategic planning. To learn more about the benefits of exit planning visit www.exitplanning.com. NAIFA: Member National Association of Insurance and Financial Advisors since 1988. Jeff lives in Oswego with his wife Ellen and their two daughters Brittany and Stephanie. In his free time he enjoys golf, fishing and hunting. Registered Representative and Investment Advisor Representative - Securian Financial Services, Inc. When clicking on the above links, you will be leaving the Prentice Financial Services web site and you will be viewing material from other web sites that may not be regulated under the same standards as Registered Securities Firms/Broker-Dealers. Information in this section is not to be considered a recommendation or an offer to purchase any product. Prentice Financial Services makes no representation as to the completeness or accuracy of the information provided at these sites. Prentice Financial Services accepts no liability for any direct or consequential loss arising from any use of this information or its content. Nor is the company liable for any direct or indirect technical or system issues or any consequences arising out of your access to or your use of third-party technologies, sites, information and programs made available through these sites. These links have been provided courtesy of Prentice Financial Services, Inc.